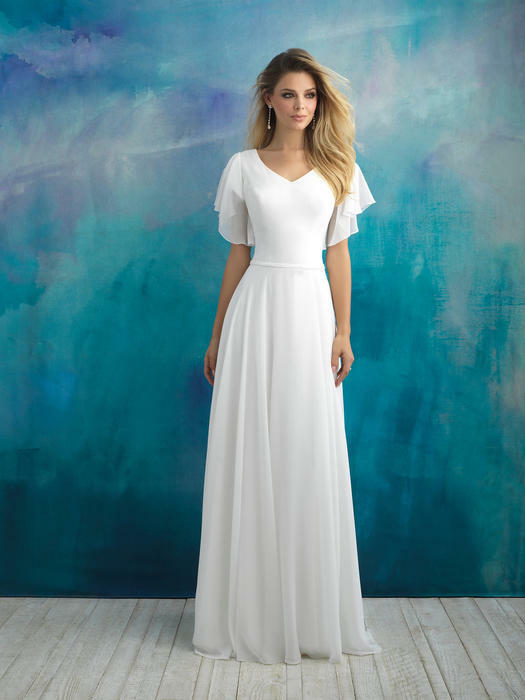 The Allure Modest Collection is for the bride who prefers an elegant, more modest bridal gown or needs a temple-ready wedding dress. 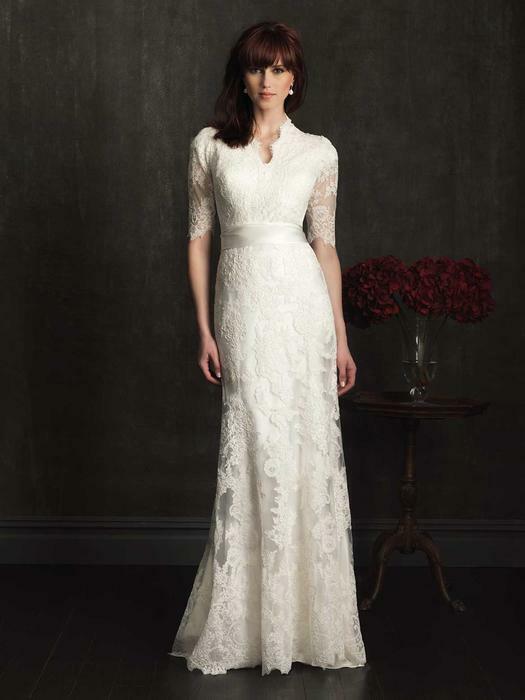 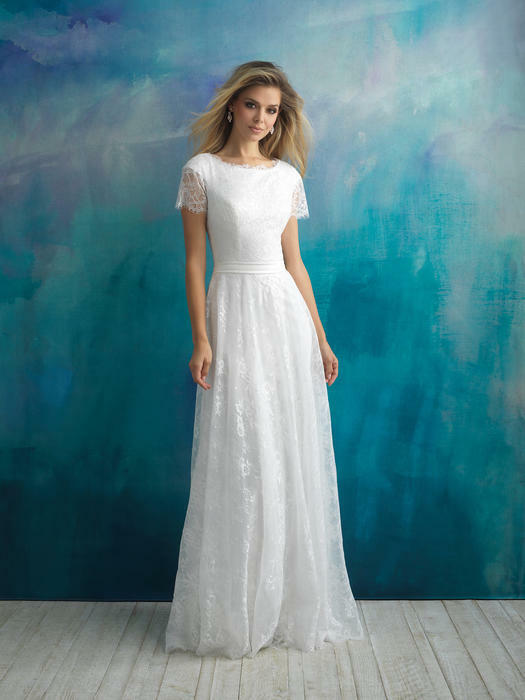 Wearing a modest wedding gown from Allure means you don't sacrifice fashion. 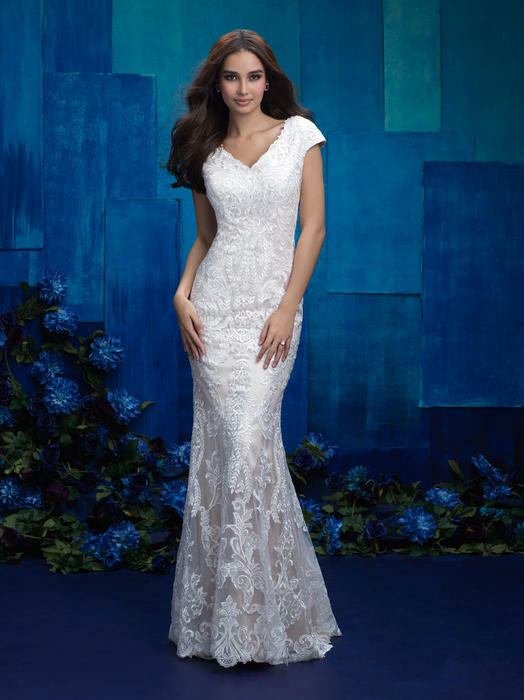 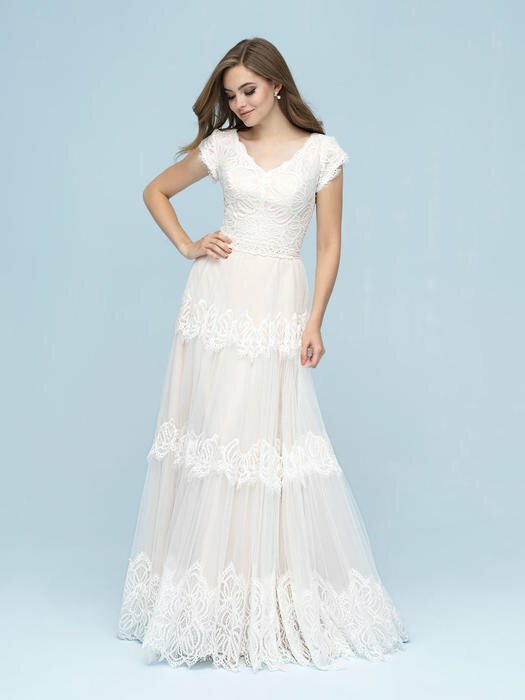 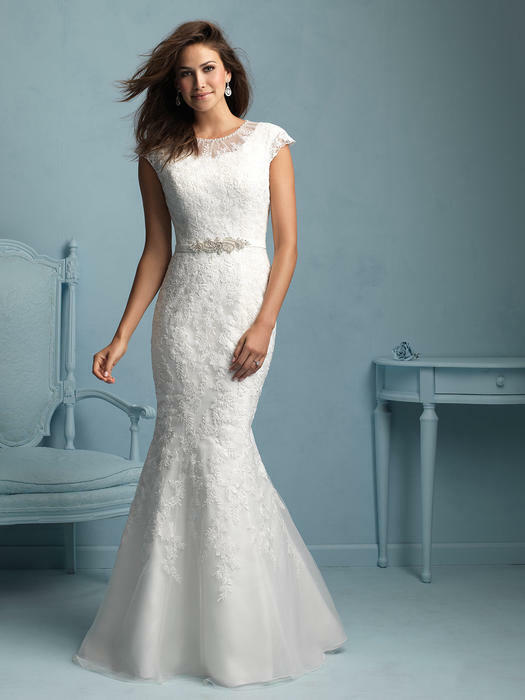 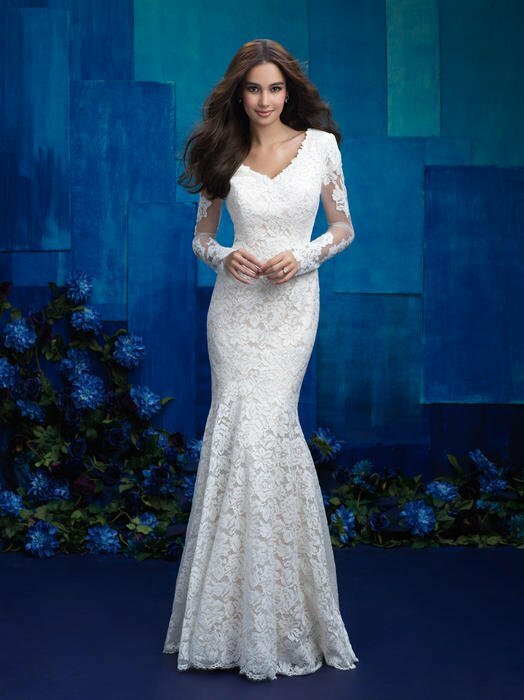 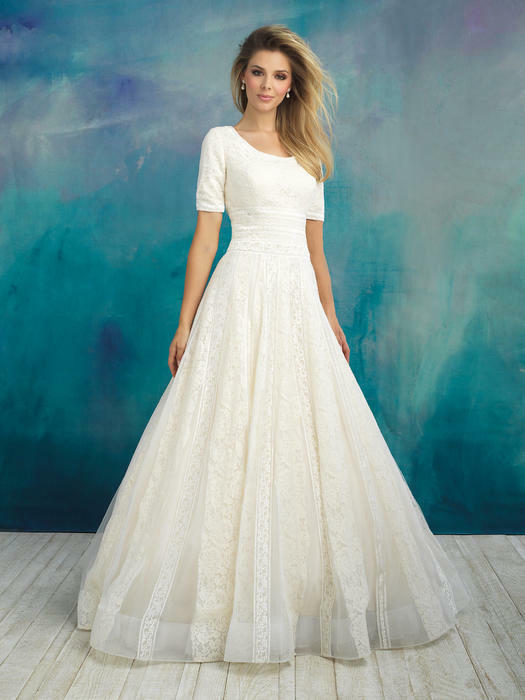 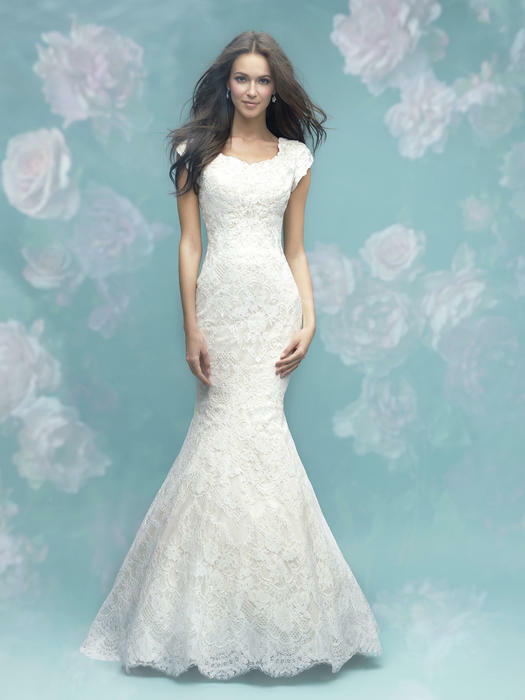 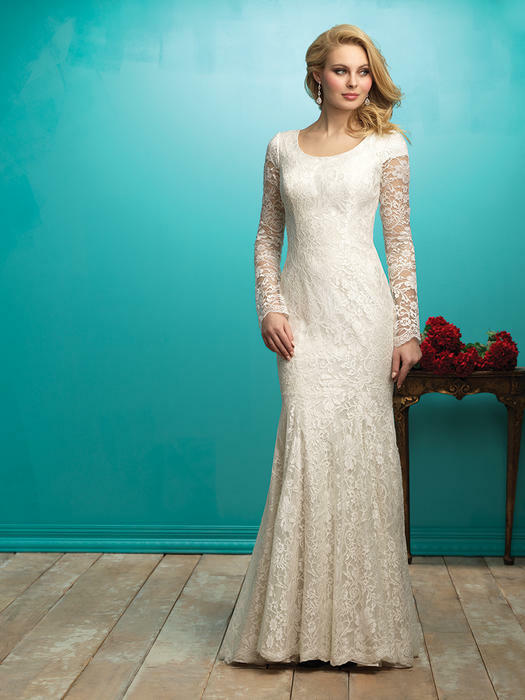 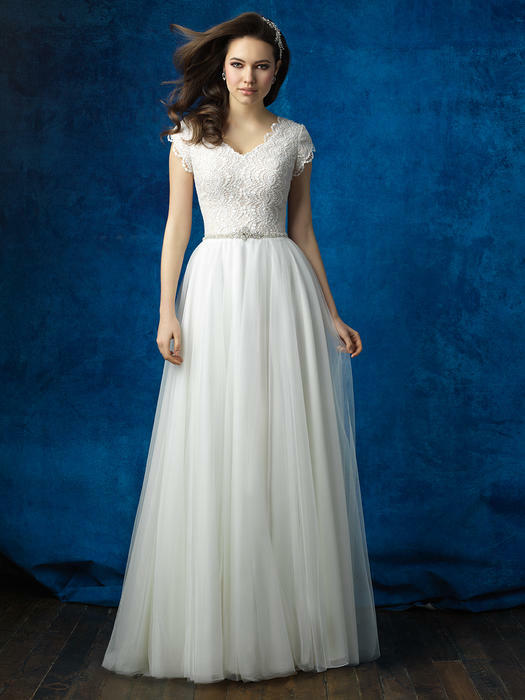 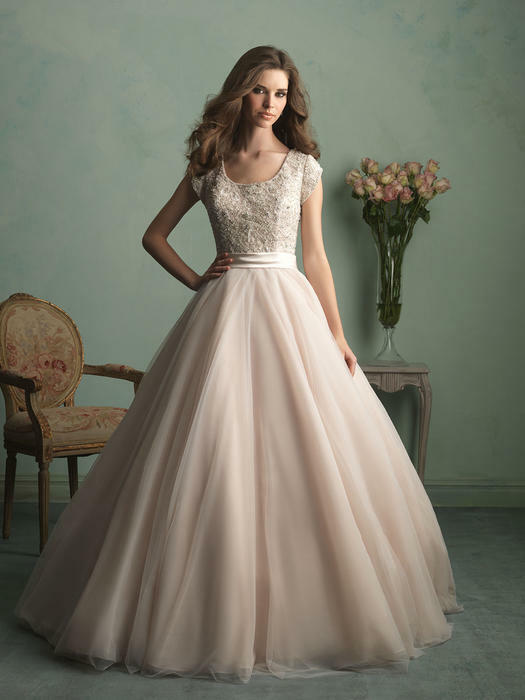 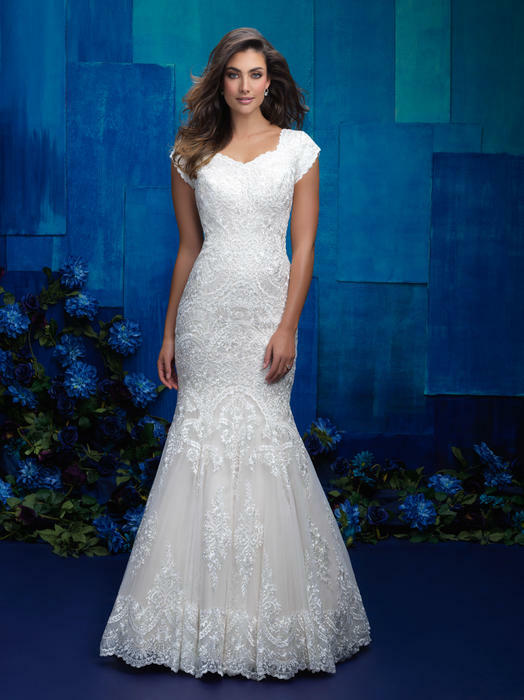 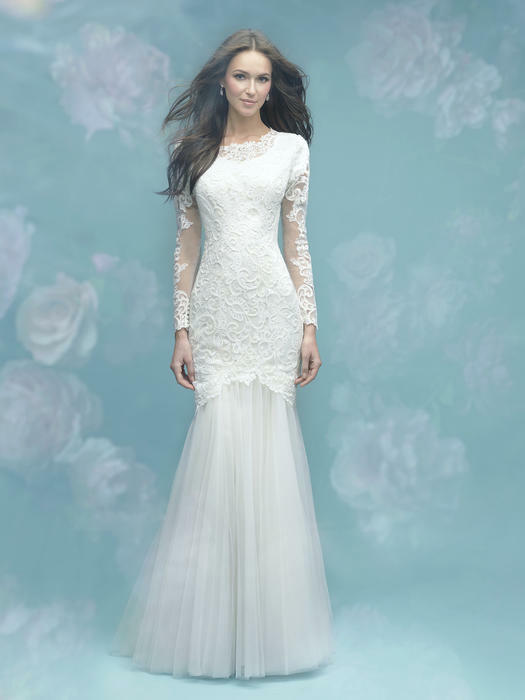 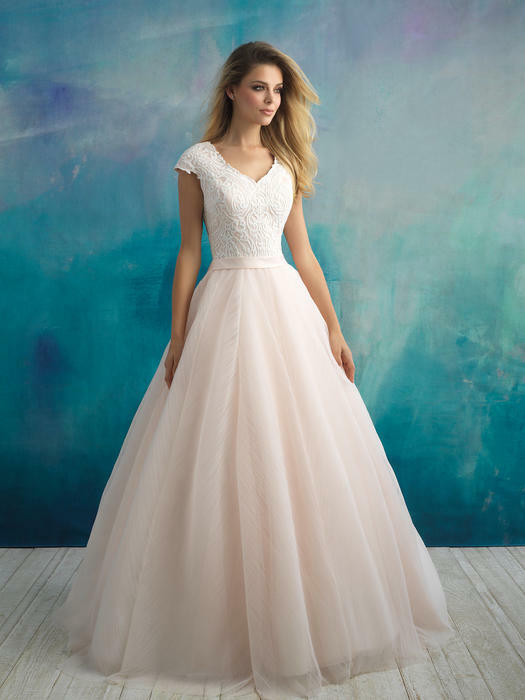 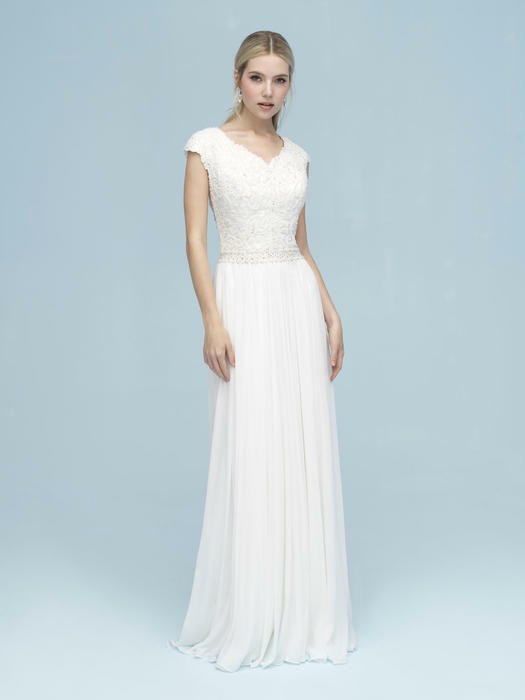 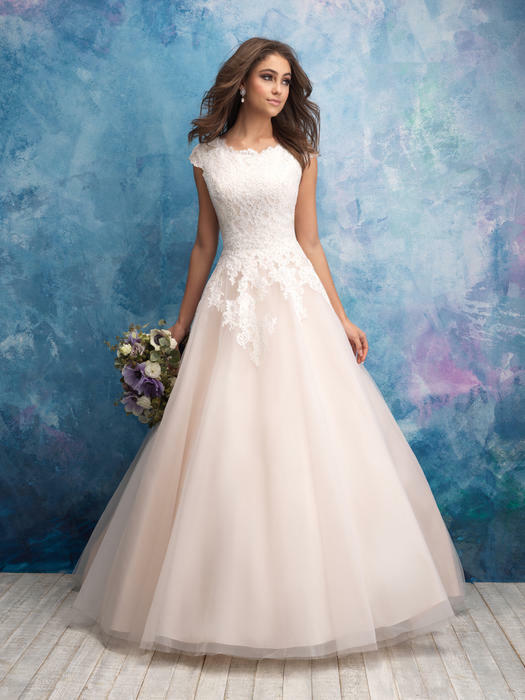 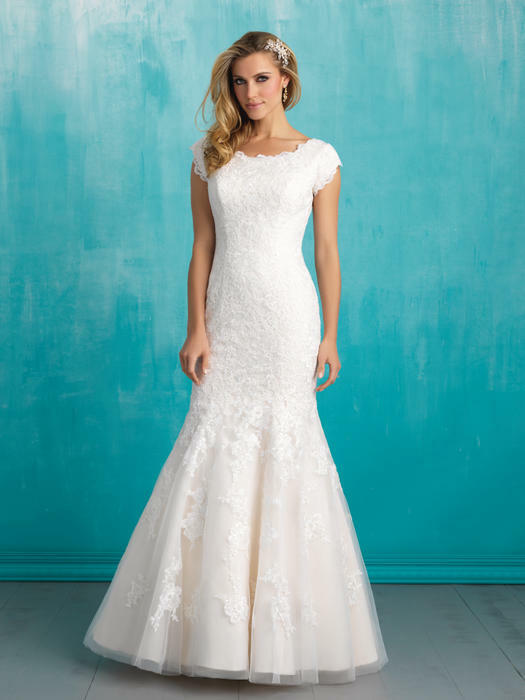 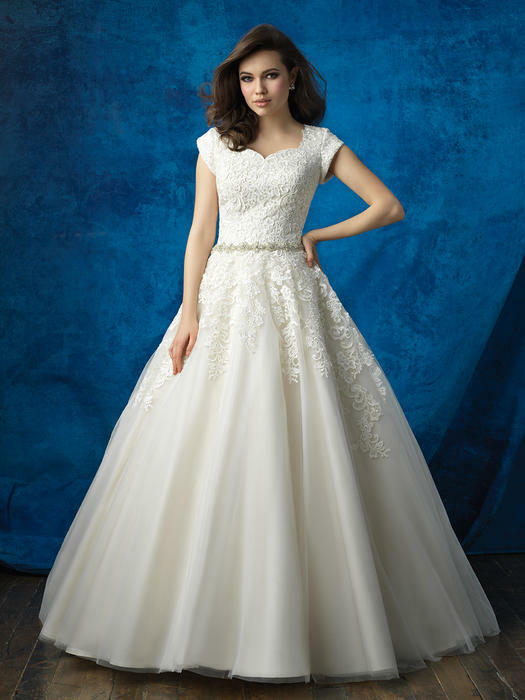 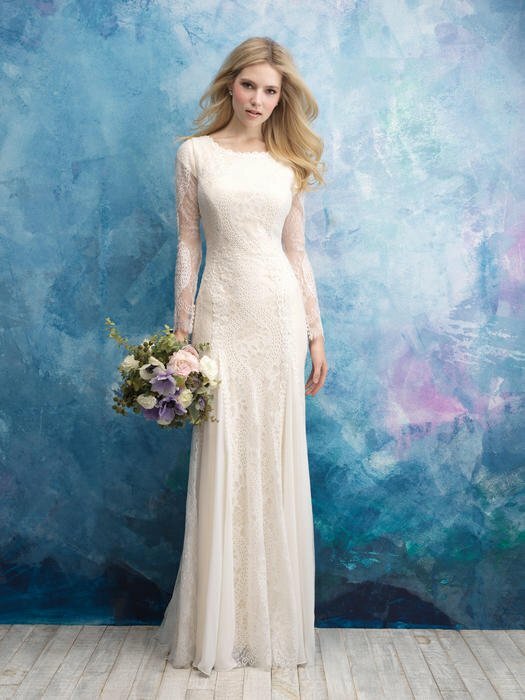 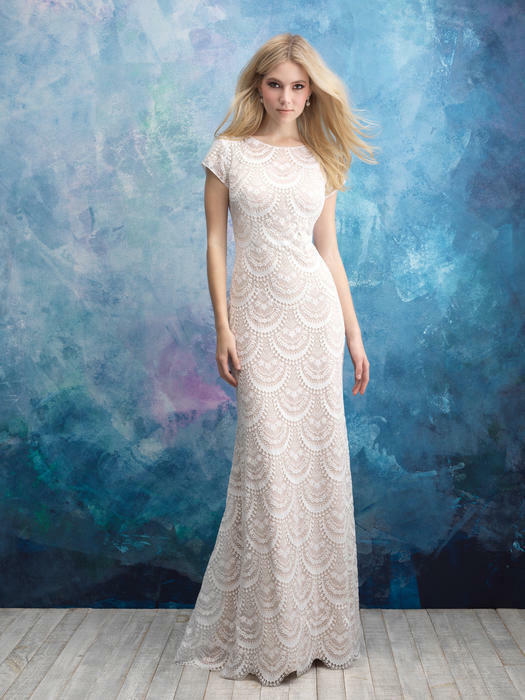 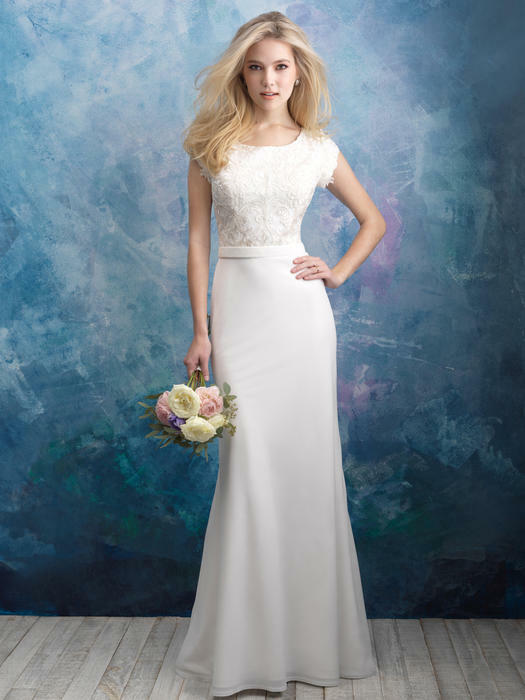 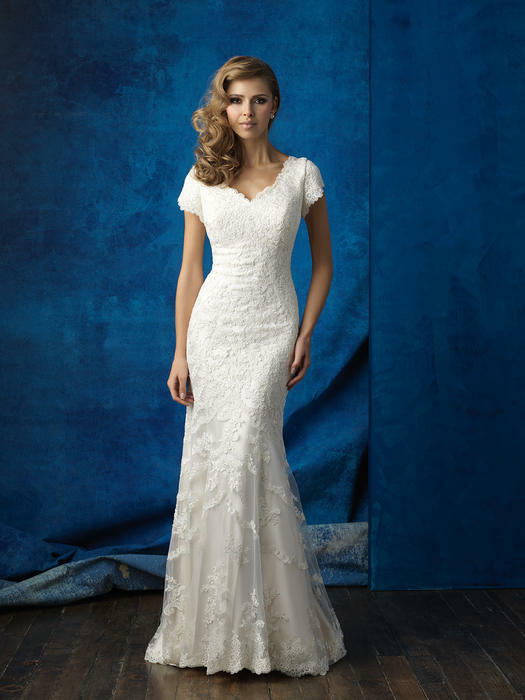 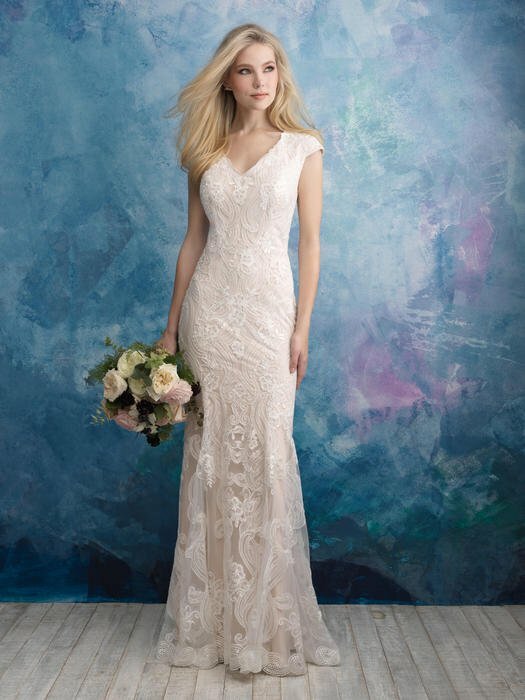 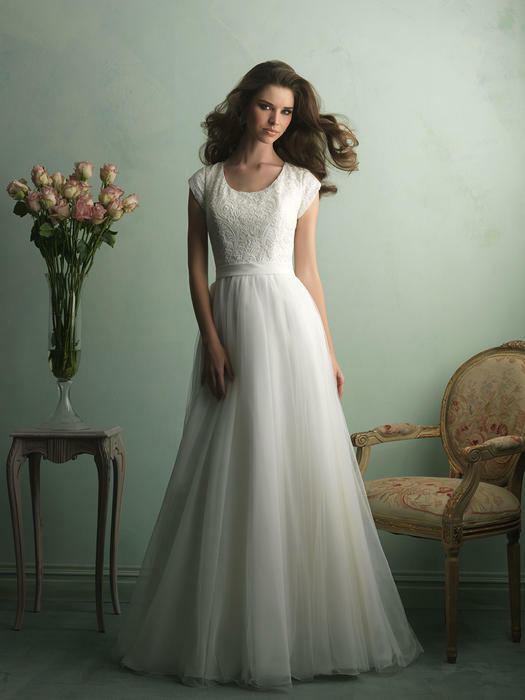 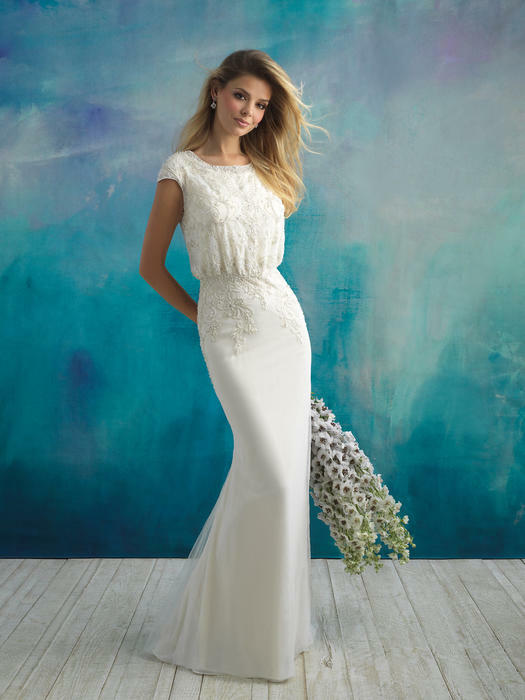 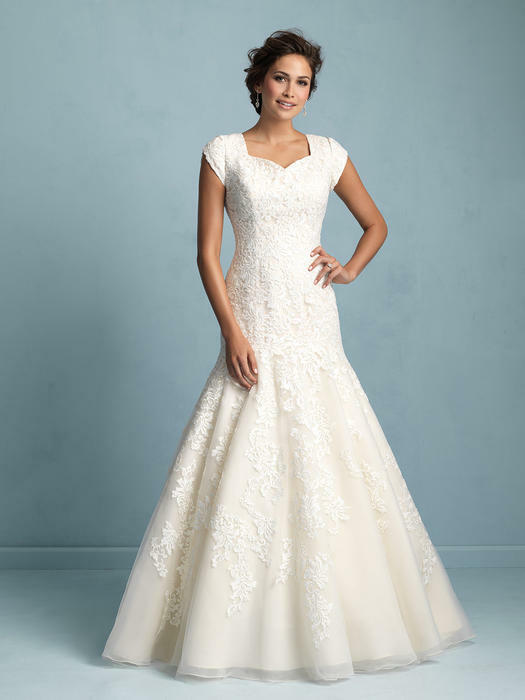 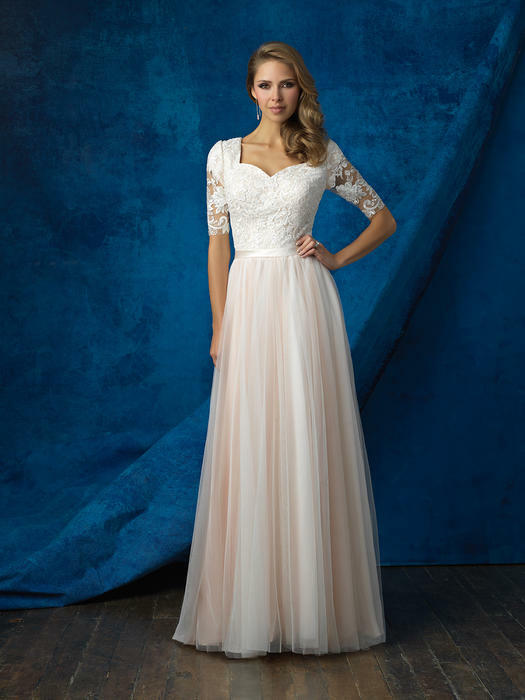 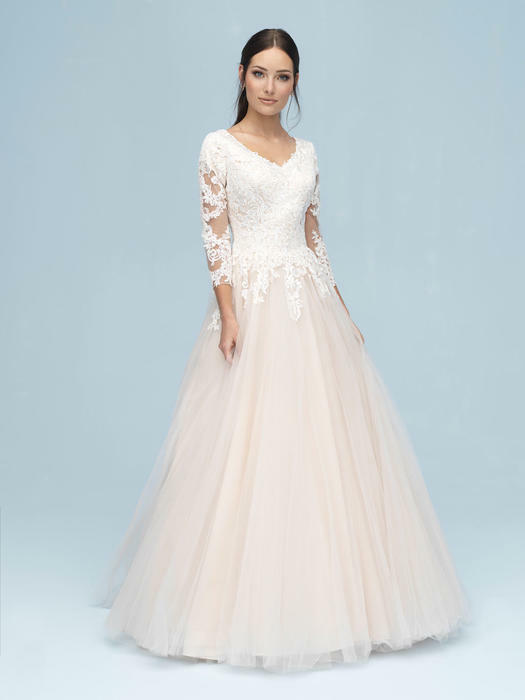 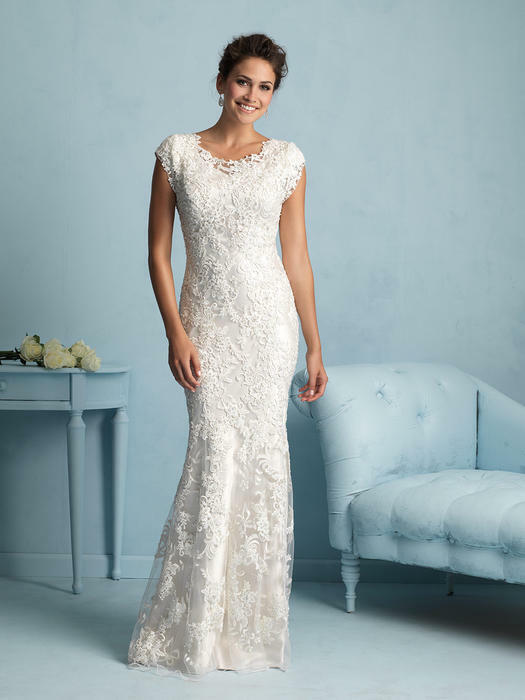 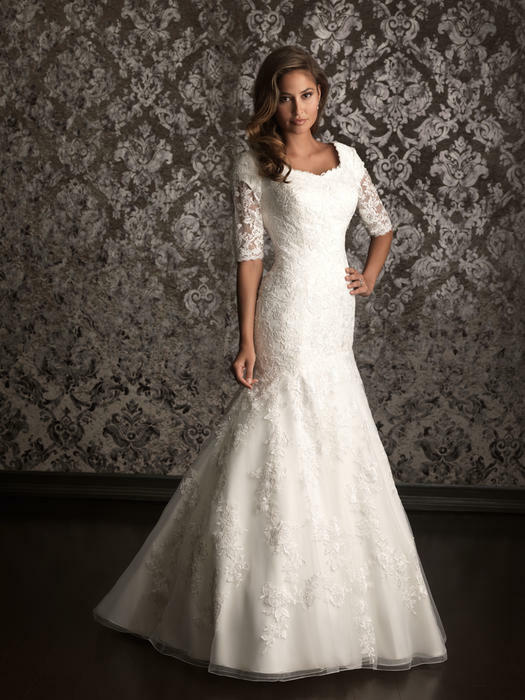 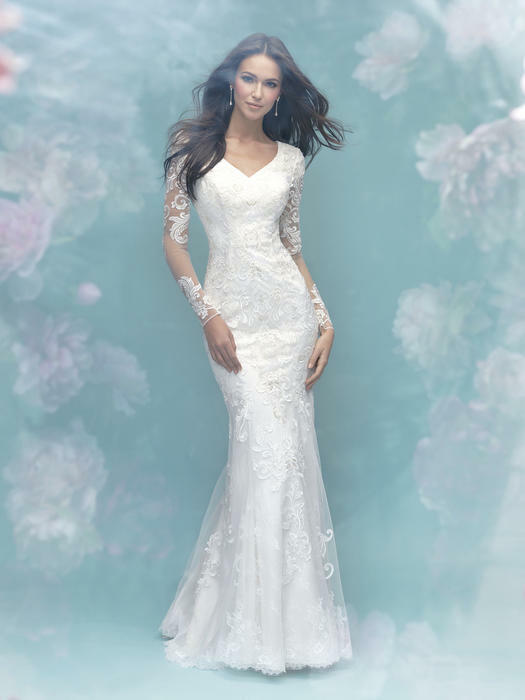 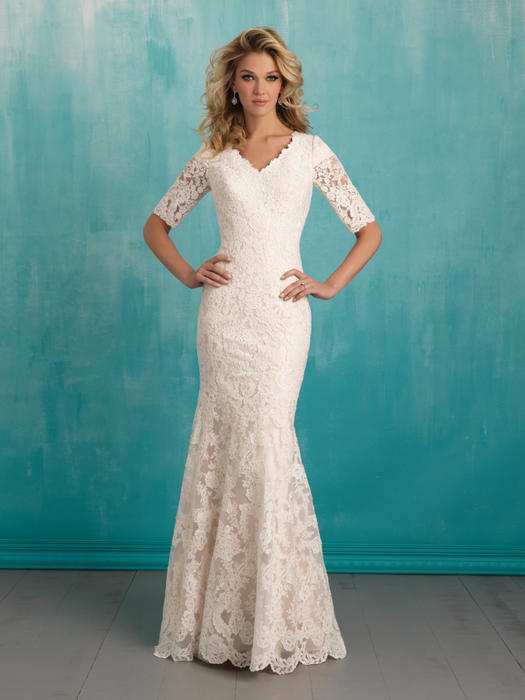 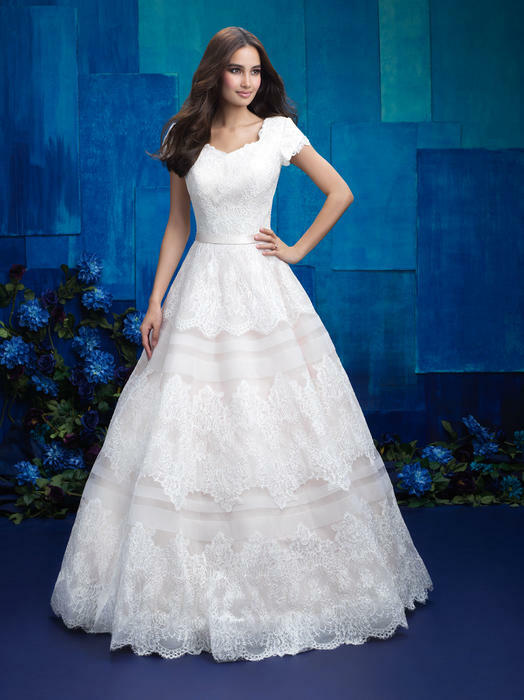 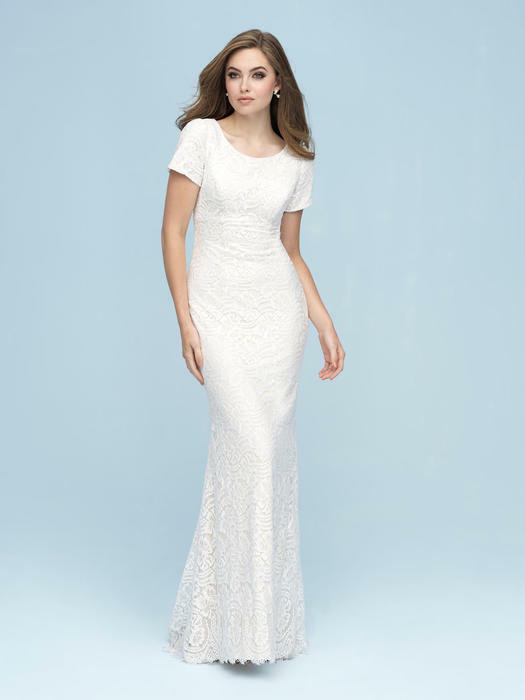 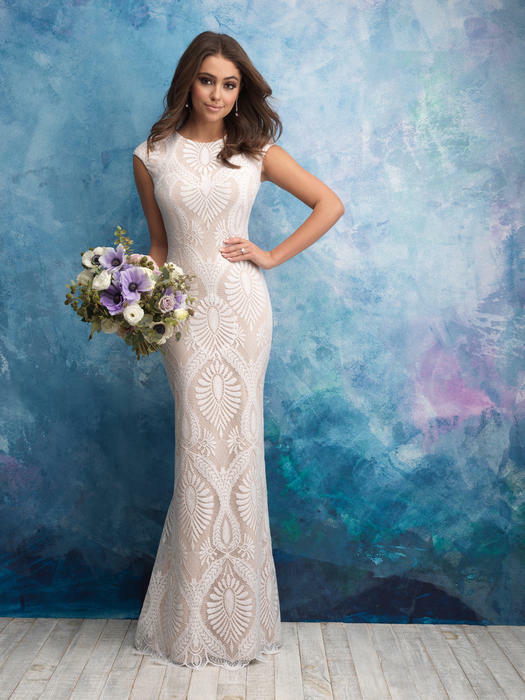 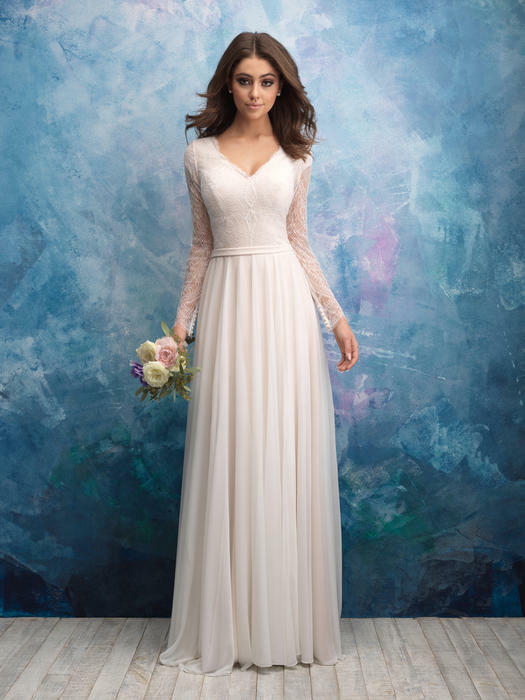 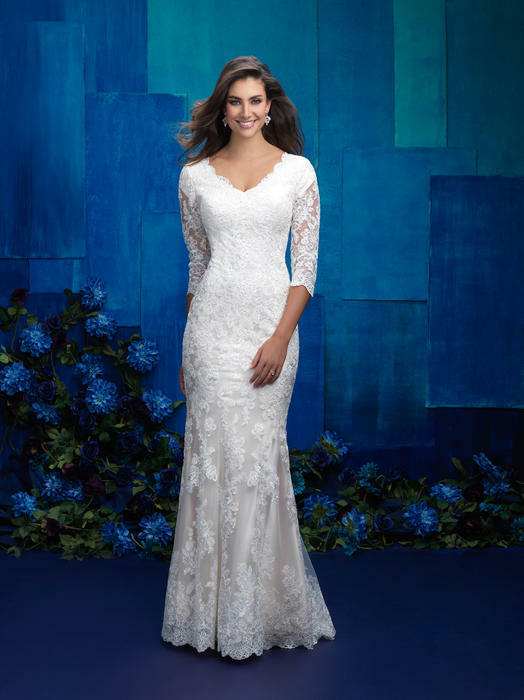 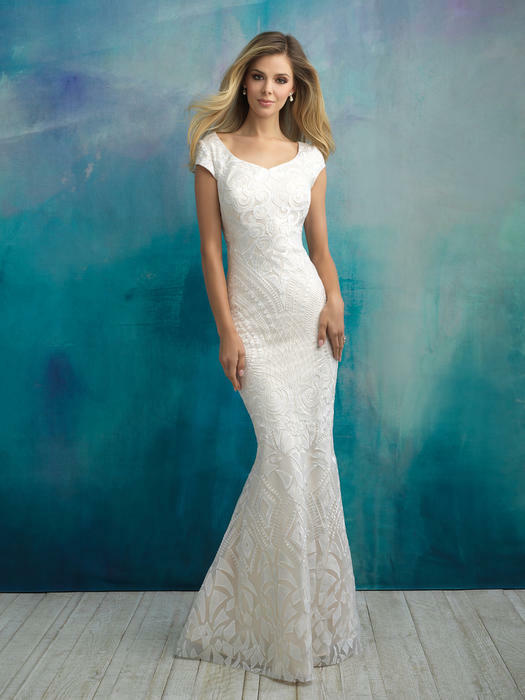 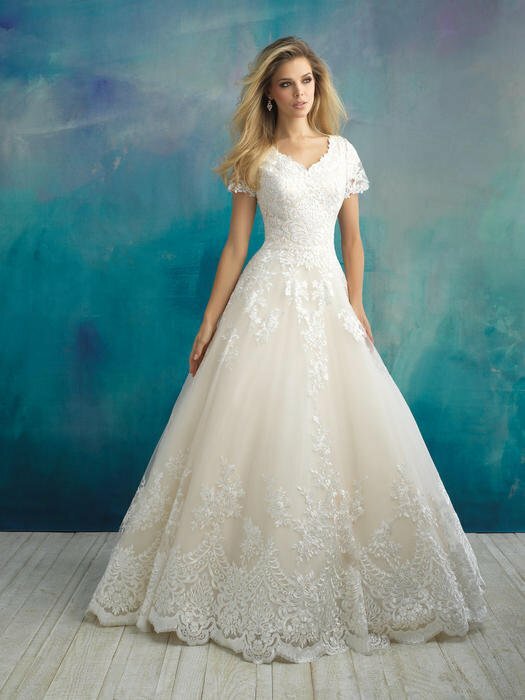 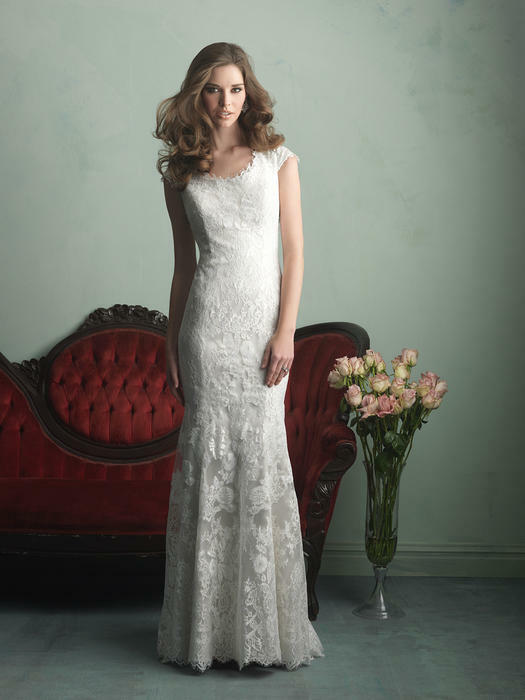 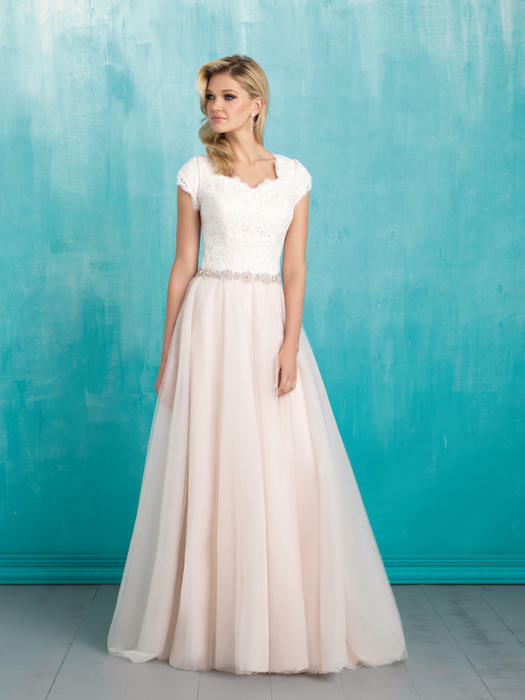 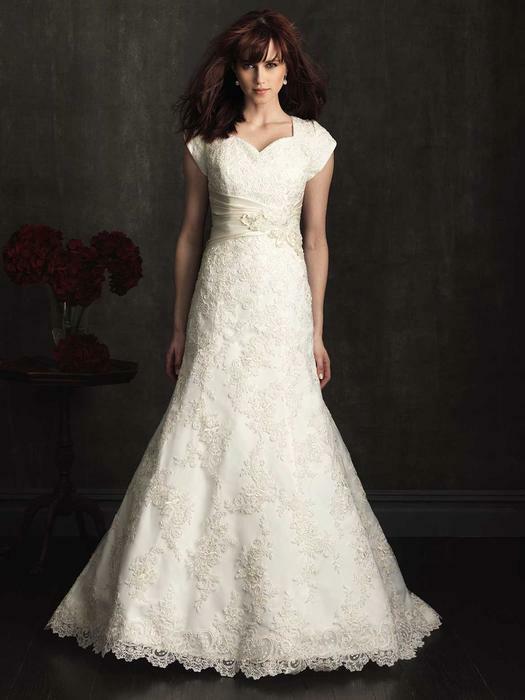 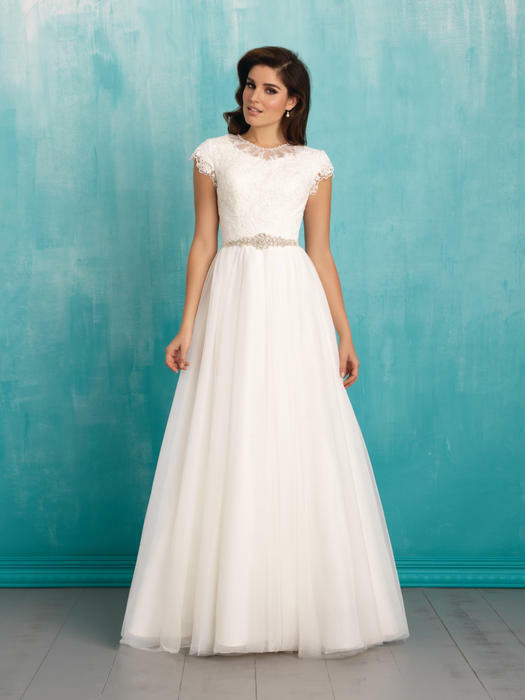 The designers from Allure Modest ensures that each modest wedding gown style is beautifully and fashionably made lush fabrics, with raised necklines, cap sleeves, delicate sparkling crystal beading, their signature buttons, and detailed embroidery.